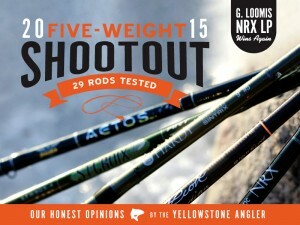 George Anderson and the crew at Yellowstone Angler have posted the results of their 2015 5-Weight Shootout. For those of you who are new to these shoot-outs, they are about as in-depth as they can possibly get, covering everything from price and product quality, to tip deflection and manufacturer warranty. If you’re looking for a new 5-weight, which is a staple on Montana’s rivers and streams, it’s well worth stopping by and seeing what these guys have to say. I might just be picking up a new Fenwick.